If there is one custom which appears to have defied reason with its reason – it is apple wassailing – 30 years ago the surviving wassail was on rocky ground – 100 years or so before nearly all of them had died out…fast forward to the 21st century..and it is in very good health indeed with a large number of ‘revivals’ across the country. Why is perhaps the difficult question considering what it involves..we shall explore that later. Carhampton, a small village, not far from the holiday metropolis of Minehead (with its colourful Hobby Horse), is the grandfather of all such modern revivals, where these upstarts take their lead, the oldest by 80 years. 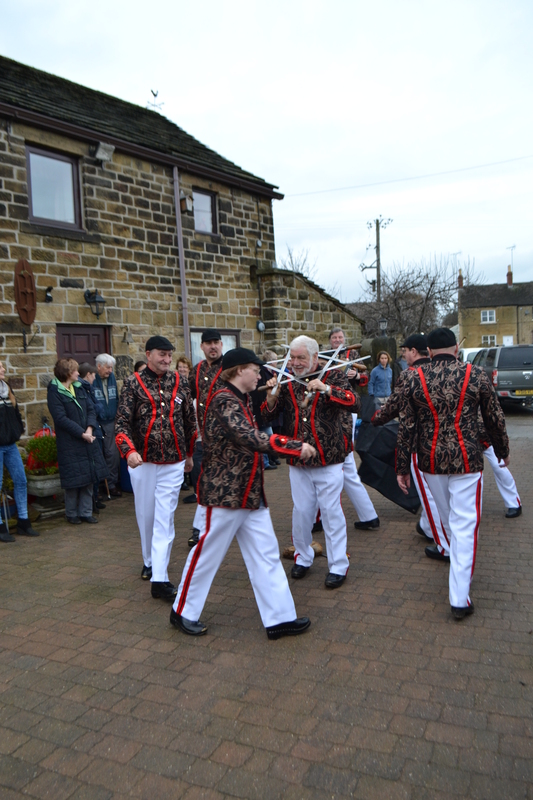 Arriving on a fine and remarkably mild 17th January it looked like the Wassail was about to just get on its way. I asked in the pub the Butchers’ Arms and they directed me a few yards away to an orchard. This did not fit the description of the location I had read. However, at the orchard I was greeted by a large friendly number of adults and children off all ages. 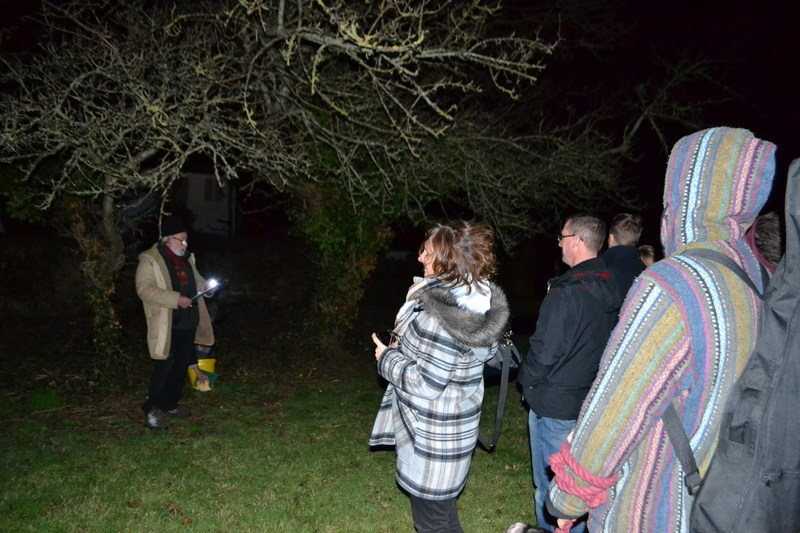 Some were handing out free food and hot drinks, the others wrapped up warm, but all congregated in the large orchard around a large central tree. It had not started yet, which was great I was lucky but I also thought had the guides been wrong..it was about an hour too early! he Wassail had all the features I had heard about. 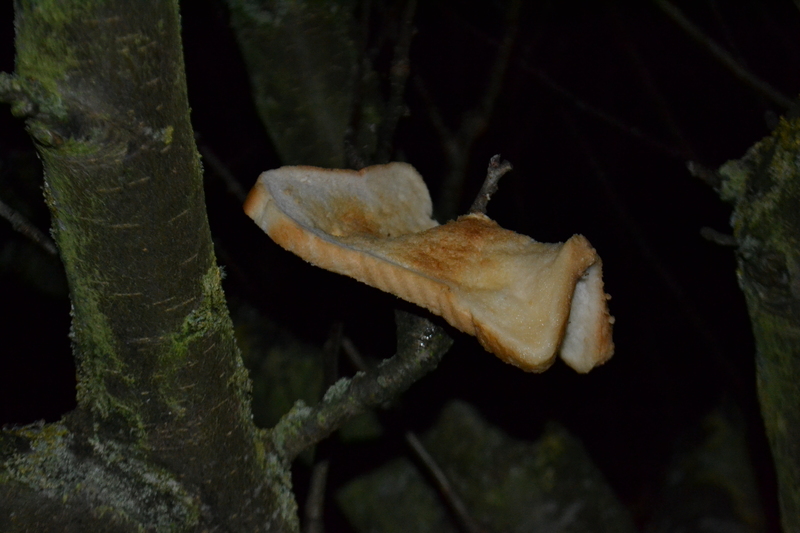 Pieces of cider soaked toast – although it looked pretty sturdy if it was – were placed in the trees by eager children. The roots were fueled by a libation of cider and all circled around to sing songs with the fine accompaniment of the squeezebox and the fine rich voice of the leader. 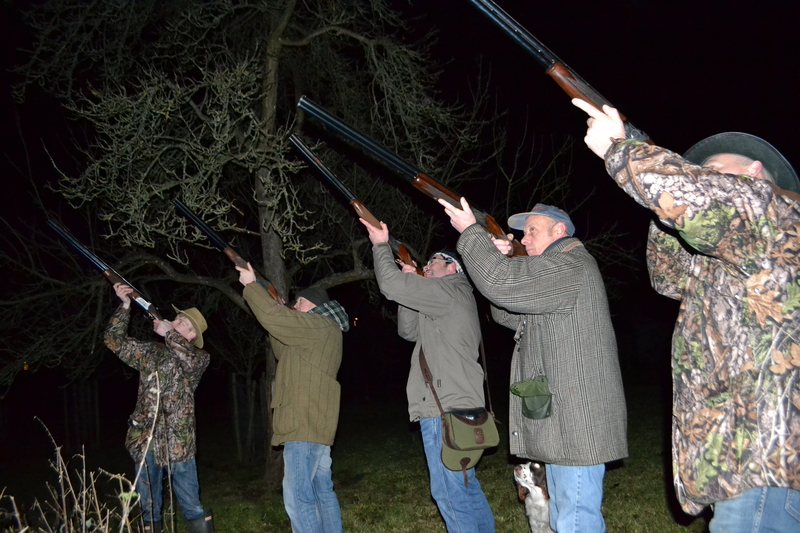 A few metres away for obvious safety reasons were a row of riflemen poised to fire…ready for the signal…they fired their rounds, not as more traditionally read into the branches, but into the air…much safer! 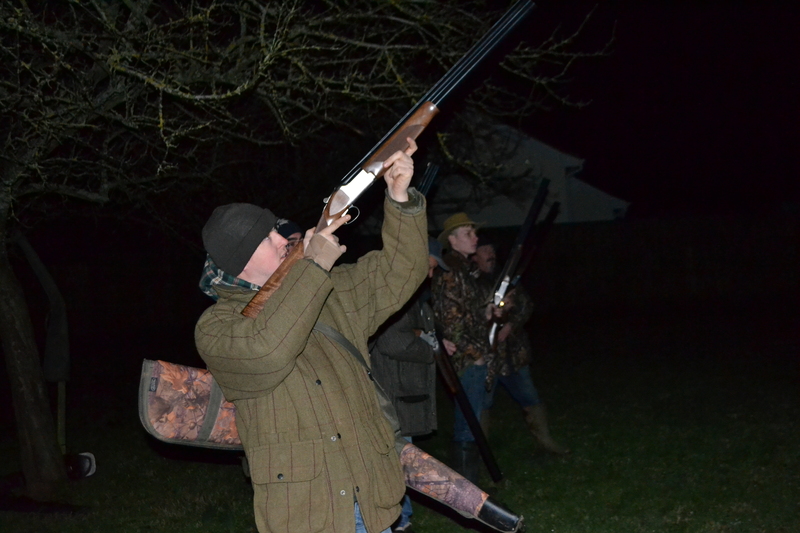 The event ended and the congregation quickly dispersed some to their cars, homes and some to the pub. I was informed that this was not the original wassailing of the apple tree but a younger upstart…the original was still to occur. I returned to the Butchers Arms to be told the original orchard was tucked behind it, although not accessible from the pub, a small walk down the footway and then up a small lane, through some old farm buildings led me there. Here the first thing to hit you was the heat. A large bonfire sparked away just behind the pub where a small collection of ancient old apples resided. The orchard was small, much smaller than the community one, an old relic. Indeed, the custom was once close to extinction when almost all orchard was almost purchased for houses. At the time the pub’s landlord wisely stepped in and purchased it. Today the other houses loom over. Although an 150 year old history at least can be claimed it did slip for a few years being revived around the 1930s, and then in the 1980s but perhaps not long enough to be a real revival, just a reboot in today’s language to attract more people. Till apples come another year. And shout to the old apple tree! With no sign of the vessel, although similar ones can be seen in early 20th century photos, one wonders if the ambassador turns up still. The actions of the Wassailers appear rather curious. Why toast? Why fire guns? Why pouring cider? Well there are as always two reasons – one deep and meaningful, the other more prosaic. The folklorist believed that the toast placated folk creatures who looked after the tree and preserved the crop. More functionally it attracted song birds, especially robins who after eating it would eat any pest on the tree – but of course Robins have a spiritual significance themselves. The firing over the trees is said to ward away evil spirits, it could equally scare away mice and especially deer who nibble the developing buds. 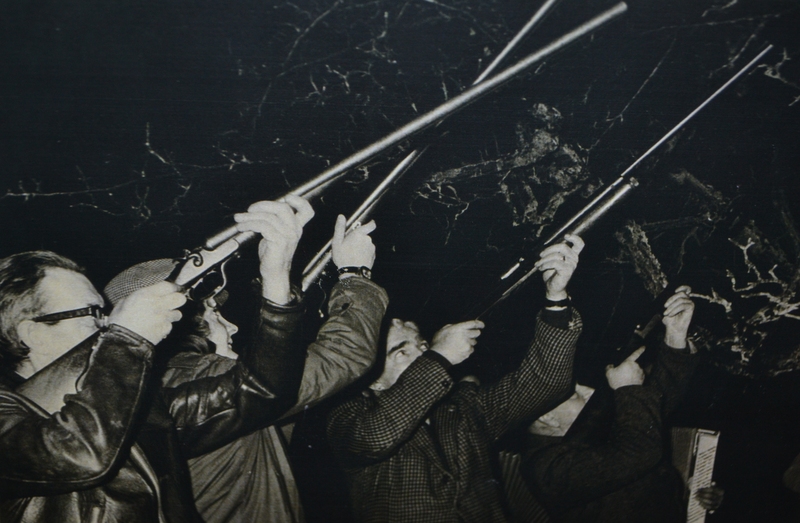 Certainly it is noted that sometimes when no shotgun is available, pots and pans are used to make as much noise as possible. Perhaps even the provision of cider provided antiseptic antifungal solution to the infections that rested in the roots of the trees? The song of course – unless you believe the power of sound in helping plant developments – is slightly harder to explain scientifically, but of course you have got to have a reason for a get together and a song which ties hopes together. The age is difficult to say..is it pagan? Well despite claims and the real pagan feel about a ritual regarding fertility, there is no pre1400 record. I noticed Wikipedia states that the traditional one is preceded by a smaller affair at the community orchard. This appears to have flipped over and the traditional event is the more modest one. What was particularly odd was that there did not appear to be much overlap. Why was this? 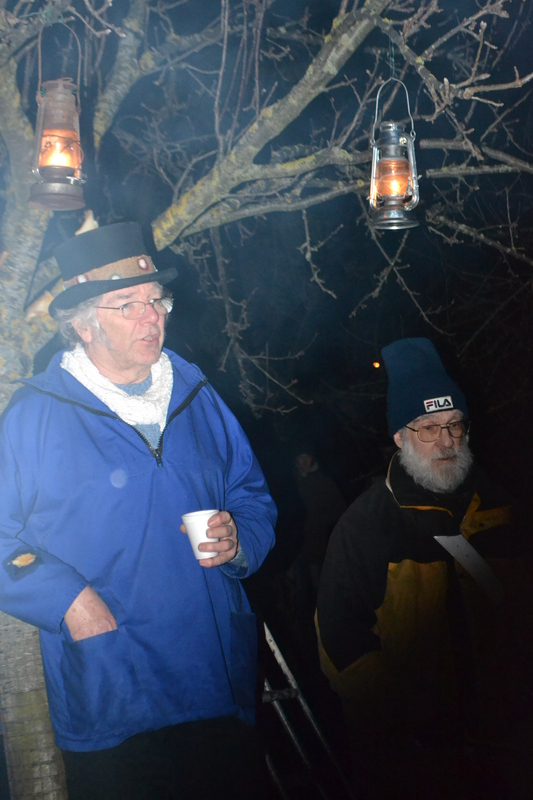 Was it that the community orchard’s wassail was more functional, more relevant to the community? It would be very ironic if the grandfather of these wassails finally died out due to indifference. It’s nearly happened at least a couple of times, in the 1970s when the orchard was nearly lost and not so long ago in the 1990s and whilst apple wassailing is all the range from Bedfordshire to Yorkshire, the unique nature of this event is slipping away. 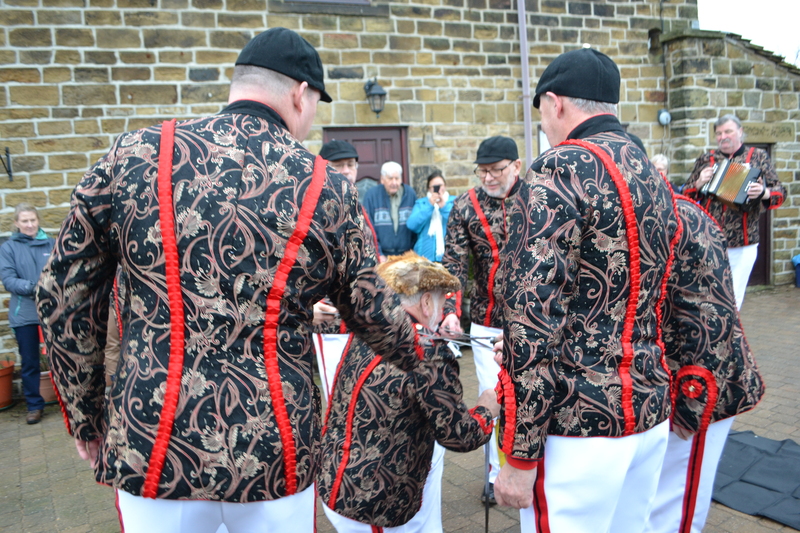 Clearly, apple wassailing is in no fear of dying out…but Carhampton’s on and off 150 year old tradition I cannot be so certain. On New Year’s morning the streets of parts of Wales, rural areas of Dyfed, Aberystwyth, Monmouthshire, Radnorshire, Glamorgan and Carmarthan, could be heard this curious rhyme which was associated with a strange gift. As a custom it only appears to have spread with slight variation to the boarder regions of England – Gloucestershire’s Forest of Dean, Shropshire and Worcestershire. Although we associate Christmas Day as the traditional day for gifts, New Year’s Day was also often associated with gift giving. This was more often associated with the idea of First footing – which survives albeit in a weakened form across England – even this year I remembered my bread to bring in. Generally states as the Calennig had a basic design. As Jacqueline Simpson in Folklore of the Welsh boarder this was an apples mounted on three wooden legs (a tripod) and decorated with sprigs of box and hazel nuts. It was not always restricted to apples either sometimes it was an orange in this case using holly, tinsel, raisins, gold and silver glitter being added. “Happy New Year. Happy New Year, I’ve come to wish you happy New Year. “This calennig apple clearly dates from ancient times, being a representation of the sun which was absent during winter. “Soon it will be calennig time. That’s when youngsters come to the door asking for me years gifts. Over the last few years, those who have come to my door have been duly treated, but this year will be different. Why? Because they haven’t been doing it right! Shame on them. We shall put things right. 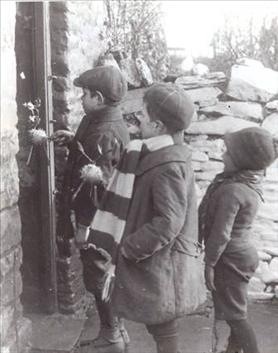 The way it should be done….is for the children to knock day a proper calennig verse to the person who answers, and then receive the gift. He also goes on to note he had seven such verses that the children should use. 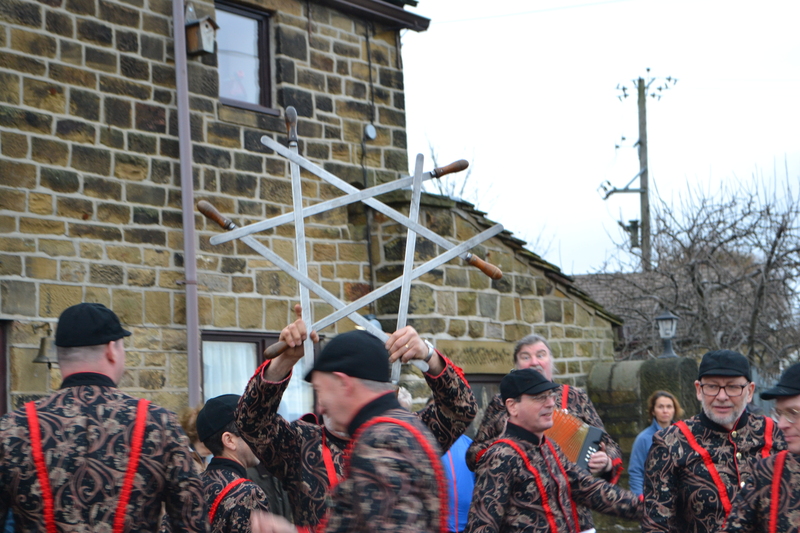 The fact that the custom survived into the 80s with no mention as a living custom by folklorists is astounding, survival into the 21st century even more amazing, but of course such customs can survive like the New Year’s Penny Scramble in Driffield which was then absent from books and sites like the excellent Calendercustoms. Certainly people are aware of it as the Youtube clip and Twitter feeds shows and guides how to make one exist. But does any child still go out properly house visiting with one? Has it died a death completely like other house visiting customs succumbed to the power of Hallowe’en! Does it still survive where you are? Please comment and perhaps add photos.